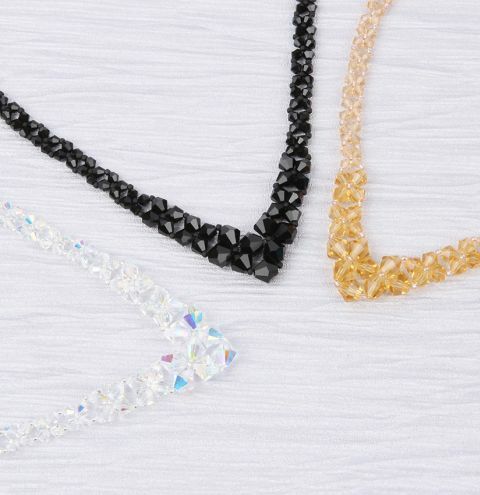 Create a sparkling crystal necklace using delicate seed beads and your choice of 4,6 and 8mm bicone beads. Choose your kit from the links below or choose your own Swarovski bicones for an extra special piece! You will need 4mm, 6mm and 8mm bicones, size 11 seed beads, beading thread, a beading needle and a 2 part clasp. Click here to choose your glass bicone mix. Click here to choose your matching size 11 seed beads. Click here to choose your clasp.